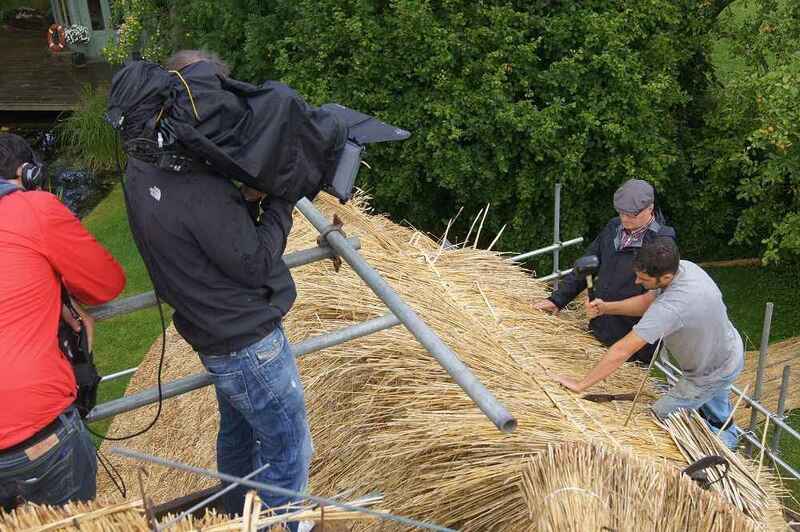 In July 2012 ITV’s “Ade in Britain” team filmed us thatching for a new series, which was subsequently broadcast that Autumn/Winter. In the show Presenter, Ade Edmonson, (better known as Vivian the punk from the Young Ones), travelled around the country meeting crafts people and local food producers and trying his hand at different crafts and cooking up some the country’s finest foods. During his visit to Dorset Ade met shepherds and had a go at shearing a sheep. He met watercress and blueberry growers and sampled Blue Vinny Cheese and Dorset Knob Biscuits at Pampered Pigs Pantry in Bere Regis. 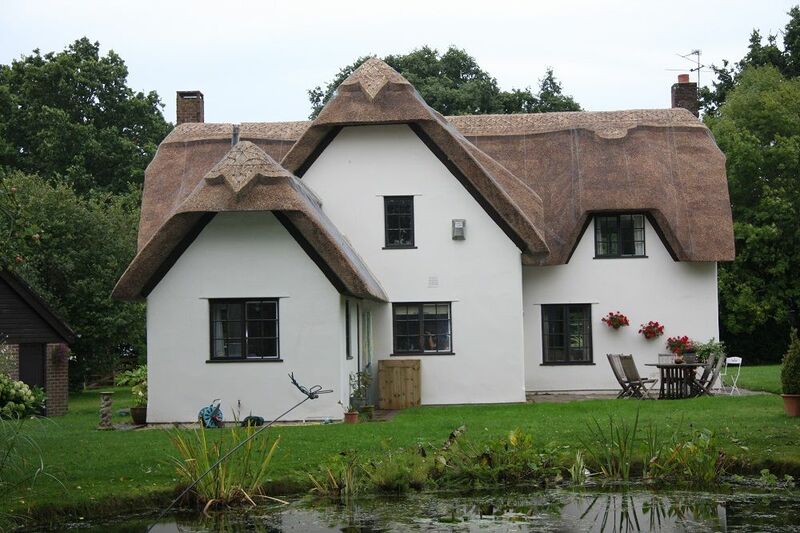 When Ade arrived on our site: a re-thatch in Colehill, Wimborne, typically, it was raining, but, after a lot of hanging around, cameras rolled and filming began. 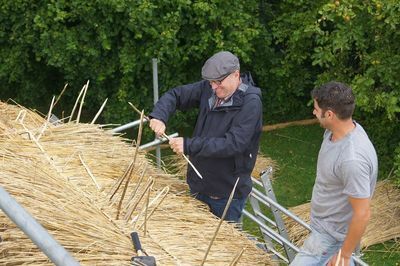 Ade had a go at laying a bundle or two, twisted some spars and seemed to really enjoy his time on the roof, especially when the sun came out!